Sat., April 14, 2018, 4:27 p.m.
BAMAKO, Mali – Officials say a U.N. peacekeeper is dead and 10 French soldiers have been wounded after a jihadist attack in northern Mali. Residents in the town of Timbuktu reported hearing two large detonations Saturday near a camp for the U.N. mission known as MINUSMA. Ten soldiers from the French military operation known as Barkhane were among those hurt – five seriously, according to the Malian security ministry. There was no immediate claim of responsibility though a number of extremist groups are active in the region. 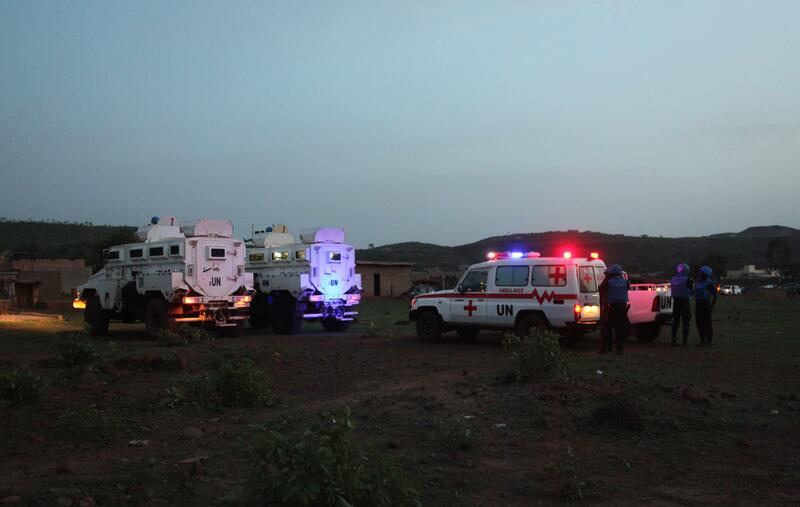 A security official, who spoke on condition of anonymity because he was not authorized to speak to reporters, said one of the vehicles used in the attack had been disguised as a MINUSMA vehicle while the other was marked as a Malian military vehicle. Published: April 14, 2018, 4:27 p.m.